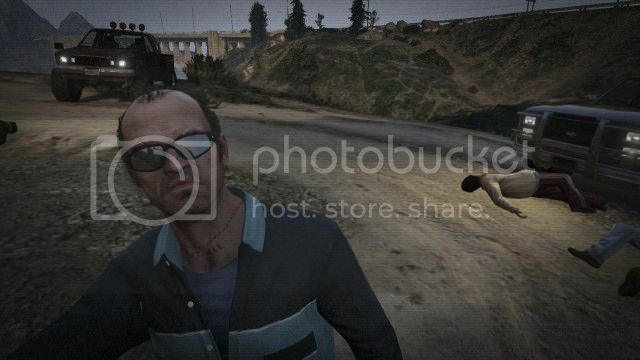 It's splendid to see that one of Jedi Master Cormac McCarthy's iconic scenes is depicted in Grand Theft Auto 5. Specifically, the drug deal gone awry at the beginning of No Country For Old Men. The National Book Award and Pulitzer must be nice and all, but I doubt there's any higher standard for literary achievement than getting a nod from the Grand Theft Auto series. 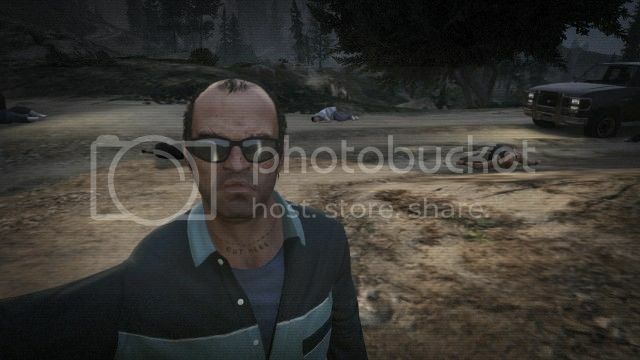 Here're a couple selfies (Sorry) I took at the location whilst playing as Trevor (who himself seems like a cocktail of 4/5ths Hunter Thompson and 1/5th James Ellroy– inarguably the best video game character ever). These pics don't do the scene justice. But anyway, note the dead dog beyond Trevor's right ear in the first one. Finish the two-part hunting tutorial with Cletus and then proceed to the first hunting mission marked on your map, near the western coast, and you can't miss it. Yes, there's a briefcase to pick up. Man, I just now found out that James Franco made a movie based on CHILD OF GOD. I am in a kind of shock. Did you know this? "An accomplished novel with a keen sense of atmosphere and description." "The collection etches a disturbing, unsettling vision, told with a brave, unflinching perspective..."